The CC of the KPD acted correctly in proceeding vigorously against the embezzlement of party funds by Wittorf and expelling him from the party for this crime. Comrade Thaelmann, who is unreservedly in favour of the strong measures taken by the CC in the Hamburg organization, made a serious mistake in not immediately informing the CC of this theft by Wittorf as soon as he learnt of it. The presidium observes, however, that this omission on Thaelmann's part did not originate in a desire to protect Wittorf, but arose solely from the wish to choose such a time and manner for disciplining Wittorf that the public settlement of the entire affair would do as little harm as possible to the party, and not be exploited by the bourgeoisie and the socialdemocracy to make it more difficult for the party and the Comintern to carry out their most important campaign against the class enemies of the proletariat. Unfortunately, the ECCI presidium must at the same time observe that the CC of the KPD published the resolution condemning comrade Thaelmann at a moment when the party's political position was extremely difficult (for it was in the middle of a campaign against armoured-cruiser social-democracy), without any attempt beforehand to bring it to the notice of the ECCI and the active party functionaries, and without any thought for the reaction of the party membership to such a step. The ECCI presidium believes that the CC of the KPD made a mistake that was extremely dangerous for the party, giving the class enemies of the proletariat an opportunity to undermine by a filthy campaign against comrade Thaelmann, the KPD, and the Comintern the party's campaign against social-democracy in connexion with the building of armoured cruisers, and to weaken the proletariat's position in its fight against imperialism. Such a crass mistake was possible only because the majority of the members, who were not fully informed, allowed themselves to be misled by political opponents within the CC. 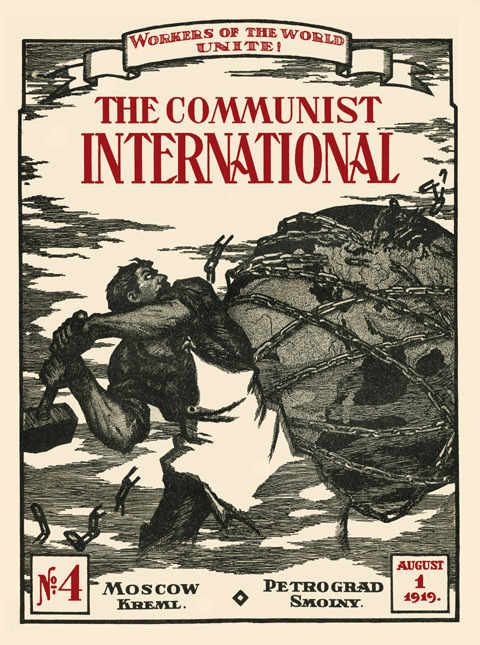 Instead of acting in the spirit of the sixth world congress decisions and concentrating on the fight against the right danger and against the tendency towards conciliation in regard to right deviations, these comrades proceeded to exploit the Wittorf affair in their fractional group interests against comrade Thaelmann as one of the chief representatives of the sixth world congress line. This was an attempt to change the party leadership and so to obstruct the execution of the political line adopted by the sixth world congress. The ECCI presidium proposes that the CC of the KPD shall: take steps to liquidate all fractional groups in the party, and draw into responsible party work the best party forces which stand by the decisions of the Comintern and the Essen congress; make certain changes in the composition of the leading CC bodies (politbureau, secretariat, "Rote Fahne" editorial board). The ECCI presidium observes that the CC of the KPD with comrade Thaelmann at the head pursued a correct political and organizational line both before and after the Essen congress, as, inter alia, the May elections showed. The presidium is convinced that the CC of the KPD will continue to carry out this correct Leninist policy. The presidium expresses its complete political confidence in comrade Thaelmann, and believes that it is his duty to continue to discharge all the functions in the party and the ECCI imposed on him by the Essen party congress and the sixth Comintern congress.